15 September 1914: Entered the Army as a War Volunteer in the Lauenburgisches Feld-Artillerie-Regiment Nr.45. 2 August 1917: Unteroffizier in Field Artillery Regiment 223. 20 February 1919: Transferred to Volunteer Artillery Regiment 12. 1 November 1919: Transferred to Light Reichswehr Artillery Regiment 7 of Reichswehr-Brigade 7. 20 December 1919-30 June 1920: Transferred to Military District Command VI. 30 June 1920: Separated from the Army. 1 July 1920: Accepted into the Mühlheim Police Department. 16 February 1921: Transferred to the Hamburg Police Administration. 1 April 1933: Transferred to the staff of the Police Chief in Hamburg. 1 June 1934: Transferred to the 11th 100-Man Detachment of the Hamburg Police. 13 July 1934: Transferred to the 9th (13th) 100-Man Detachment of the Hamburg Police. 15 November 1934: Machinegun Officer with the Hamburg Land Police Group. 7 January 1935: Transferred to the staff of the Hamburg Land Police Group. 30 March 1935: Transferred to the 10th 100-Man Detachment in Bremen. 15 October 1935: Returned to the Army with the rank of Hauptmann on the staff of the II. Battalion of Artillery Regiment 56. 6 October 1936: Battery Chief in Artillery Regiment 56. 12 October 1937: Commander of the I. Battalion of Artillery Regiment 58. 25 April 1943: Army High Command Leader Reserve. 3 May 1943: At the same time, detached to the 4th Division Leader Course. 5 August 1943: Delegated with the leadership of the 26th Infantry Division on the Eastern Front. 1 October 1943: Commander of the 26th Infantry Division on the Eastern Front. 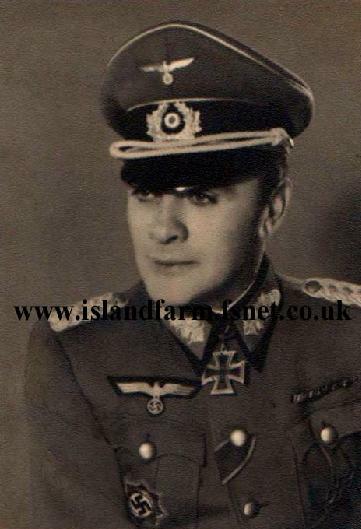 Knight’s Cross of the Iron Cross: 14 June 1940, Oberstleutnant, Commander of Artillery Regiment 22. German Cross in Gold: 22 January 1942, Oberstleutnant, Commander of Artillery Regiment 22. 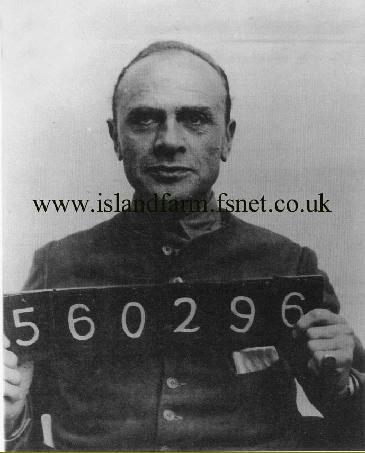 NOTE: As Generalleutnant de Boer served in the police from 1920-1935, he does not appear in the interwar German Army Rank Lists that included officer decorations. Consequently, it is unknown if he received the Prussian Iron Cross 1st and 2nd Classes or other decorations during World War I. The hosts would welcome any additional information regarding the decorations held by this officer.